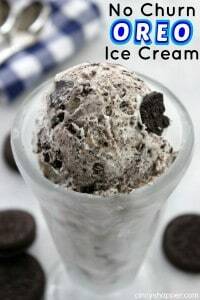 If you are a fan of cookies and cream ice cream, you need to whip up this homemade No Churn Oreo Ice Cream. 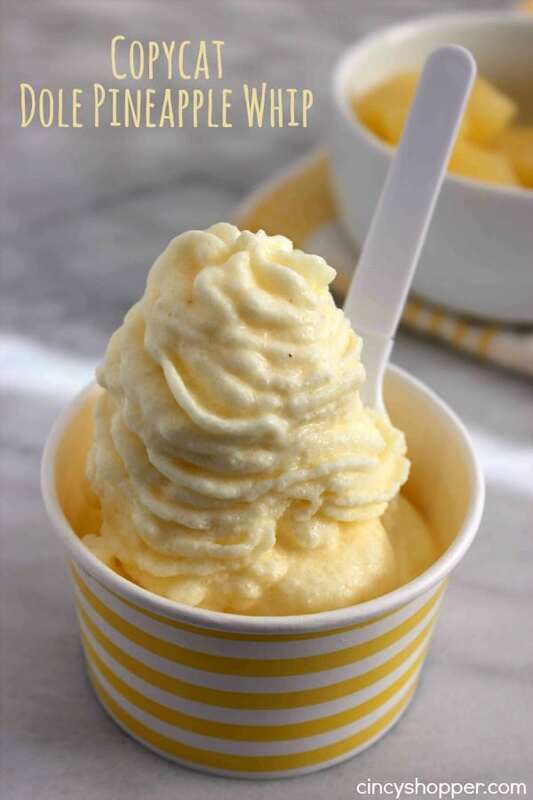 It’s a super simple recipe with no ice cream machine needed. 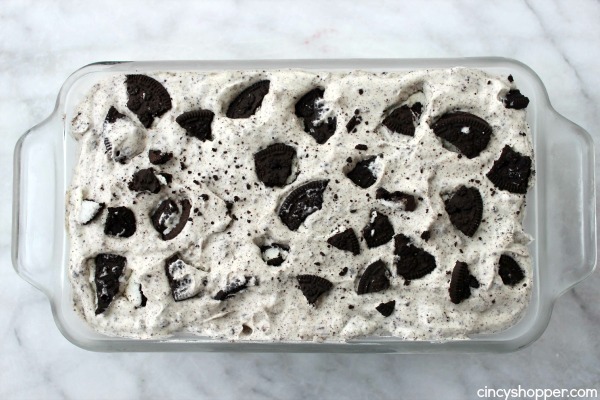 Plus you will be happy to hear that it only requires just 4 ingredients. So much better than store bought. My kiddos are huge fans of taking an evening trip to the ice cream stand during the summer months. Some of my fondest memories as a child were our family trips to our hometown ice cream stand for hot dogs, ice cream and mini golf. So when they ask for a trip in the evening after dinner, I am usually quick to give in. Crush 2/3 of cookies in food processor. Crumble remainder by hand to get variety of size pieces. Use the arrows below to continue on to the next page for more pictures, instructions and printable recipe. There are always so many different flavors of ice cream to choose from when we hit the stand. I think it usually takes me 5 minutes just to decide. Then I change my mind a few times before placing my order, ha ha. Since we made our first homemade no churn blueberry ice cream last summer, I am not as eager to rush off to the ice cream stand to spend my cash. I guess it’s the frugal side of me. Knowing I can make my favorite flavored ice creams at home has taken some of the fun out of the trip. We have made so many different flavors. 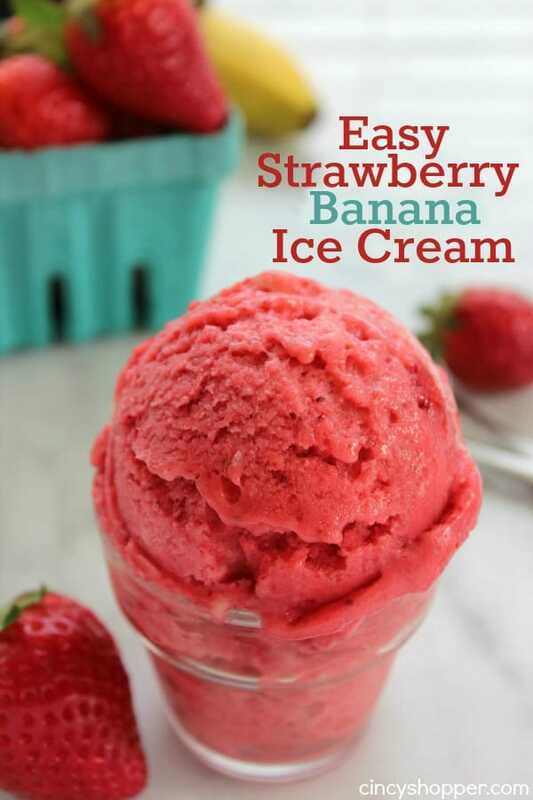 We were amazed at how easy it is to make our own ice cream at home with our favorite flavors. 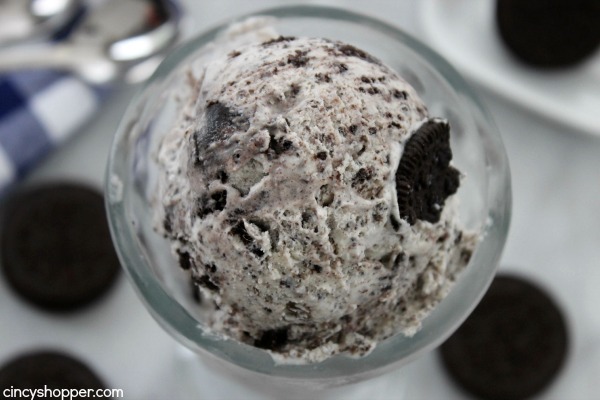 The kiddos were requesting Oreo Cookie Ice cream this week. 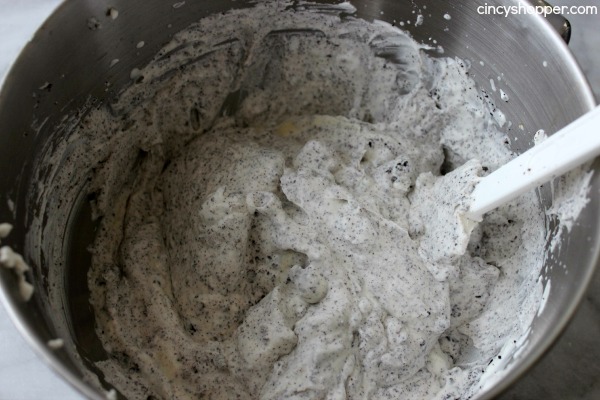 Cookies n Cream has always been one of my favorites so I was quick to agree to whip up a batch of homemade Oreo Ice Cream. I knew I wanted it to have more cookie crumbs than the standard vanilla with cookie chunks. 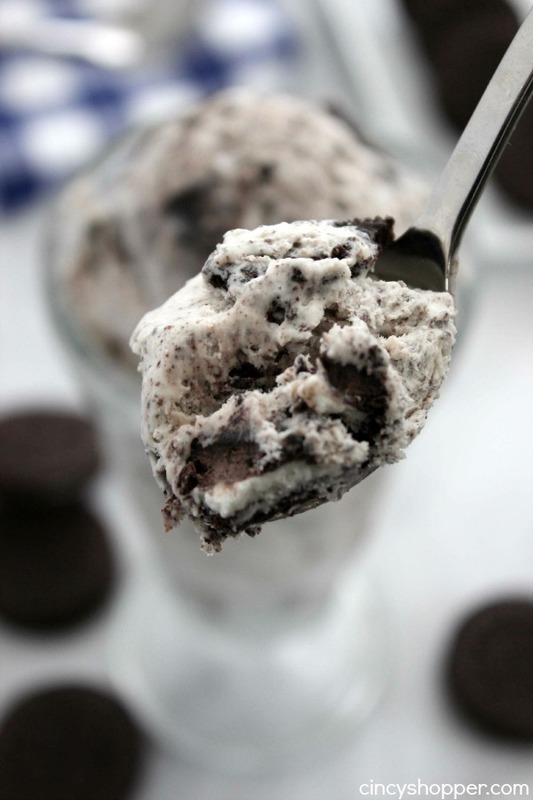 I like the cookie flavor spread through the ice cream. So, I added in some chopped and some crushed cookie. I mention that this recipe only requires 4 ingredients. 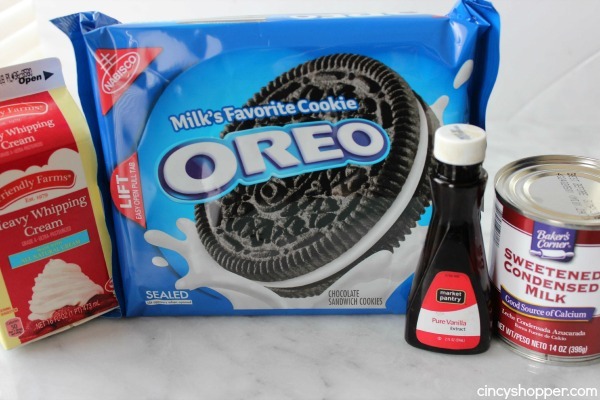 You will need heavy whipping cream, sweetened condensed milk, vanilla, and of course Oreo cookies. 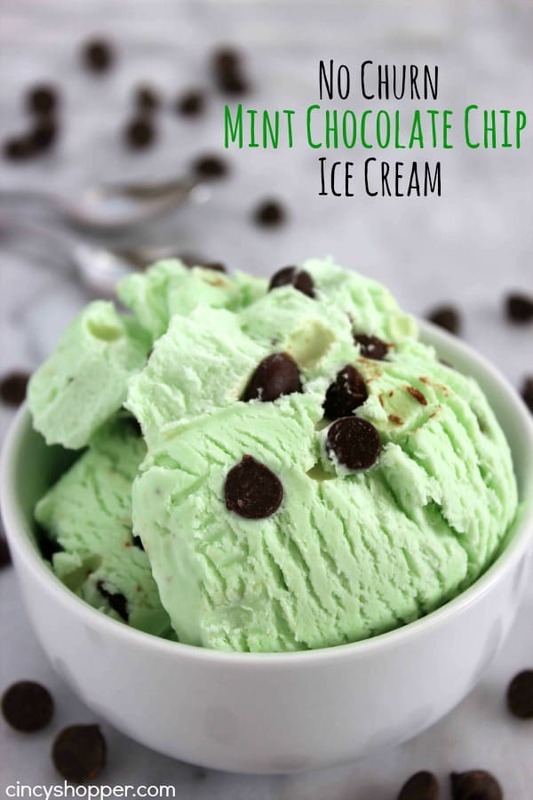 I really enjoyed the flavor combinations in this homemade ice cream. The cookies blended in so well. The kiddos did too! Each of them came back for a second cone. I would say that is another plus to making our ice cream at home this summer, we can afford to have seconds, ha ha. 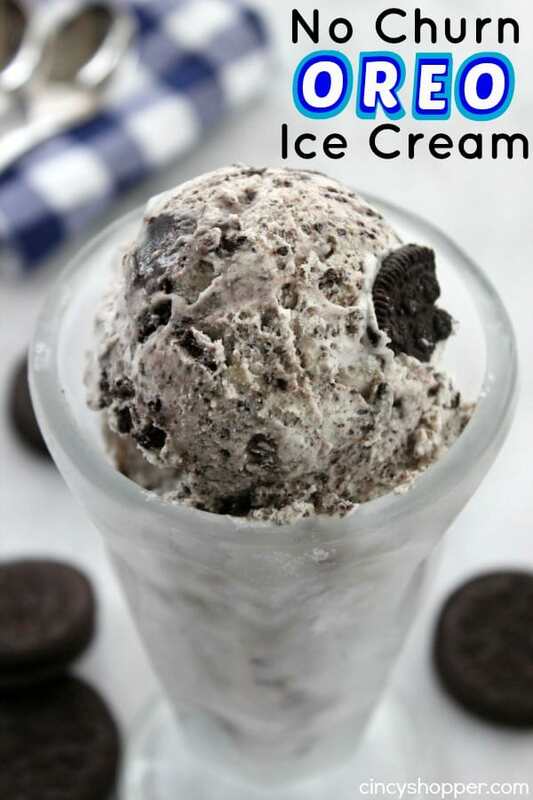 What’s your favorite flavor of ice cream? Do you usually purchase store bought? 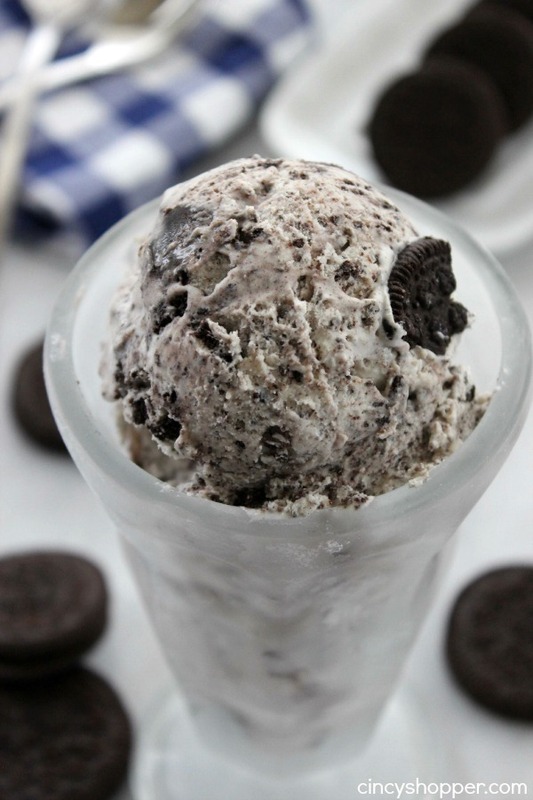 Cookies-n-cream is my favorite flavor and this looks amazing! I will definitely be giving it a try sooner rather than later…thank you! These look so good, and you have so many flavors. We are definitely going to be trying this! I gotta find some gluten free sandwich cookies, I wonder if they make them? 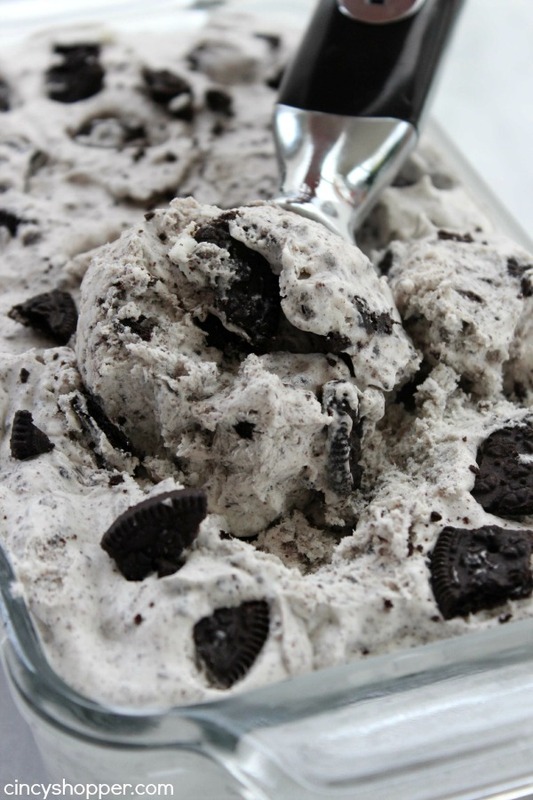 I miss cookies and cream desserts, they are soo good! Thanks. Pinning! This looks great – and so easy. Am pinning for later! Will have to check out your other flavours too – the photos look amazing! Found you via the Wednesday Round Up. I have 1 question.. What does the vanila do?? Omgosh, my husband would absolutely love this! (Of course, the kids would too but they’re pro anything sugary lol) Thanks for sharing with us at Merry Monday this week!